Women have always struggled to obtain their due in and from this country, from the Revolution right through to today. One of the more-well publicized during the 20th century was the fight for veteran qualification status by the Women Airforce Service Pilots (WASP), entitling them to all of the benefits available to those already so qualified. Now, in this century, has come the women’s struggle to access all combat positions in our military in order to provide them with not just equal status but also open up to them faster and better opportunities for promotion and additional pay and benefits, especially to those who are military career-minded. As there were women who were put in harm’s way (killed, wounded, and captured) in Operation Desert Storm and the following counter-insurgency operations in Iraq, the fact or reality of women in combat has at least been implied and not really acknowledged officially, particularly where real, obvious front lines have been obscured or are nonexistent. In addition to acknowledging the absolute combat capabilities of women, it was also a long road for the military to come to the conclusion, in our conflict in Afghanistan, and admit that Female Engagement Teams (FET) were not only necessary in a war where actionable intelligence was vital but also one where cultural norms and restrictions demanded their presence where indigenous females were concerned. These FETs were not only involved in firefights and subject to improvised explosive devices (IEDs) but also were able to make inroads in winning hearts and minds of Afghan women. They were tasked, when necessary, in searching these women for weapons and explosives but also ferreting out insurgents concealing themselves as such under burqas. By operating according to Muslim cultural restrictions and gaining Afghan women’s trust through empathy, the provision of food, clothes, and child care, support for voting rights, education and employment, and countering second class status in such areas as child marriage and domestic violence, America’s women soldiers were able to obtain critical intelligence for use against insurgents in the effort to establish a stable Afghan nation. Not that they were always successful, as there weren’t any real front lines and one couldn’t trust everyone all the time, but real progress was made in Afghanistan and also in the American military as policy now dictates that women be considered qualified for any and all positions open to men. 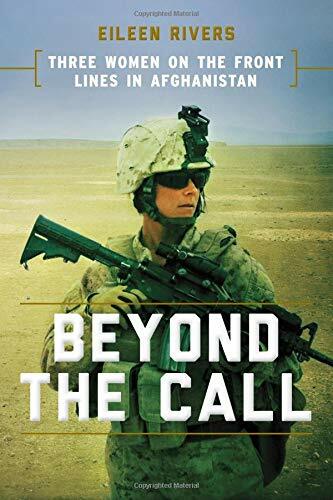 This publication details the struggle of three women who served in Afghanistan among the initial FETs: one of whom, a non-commissioned officer, was wounded by an IED while the other two were officers who led teams in action as mentioned above. These women dealt with the same problems as men when it came to their deployments. They suffered from PTSD, left children who might never see their mother alive again, and felt the ongoing stress of such deployments on personal relationships and marriages. The format of this book initially summarizes a chronology of the history of women in the military, author Eileen Rivers’ own military experience serving in Desert Storm and search for appropriate subjects about whom to write in exposing the fact that women have been serving more often in combat than the Pentagon would like to admit. Part One covers the story of one Afghan activist woman’s fight to improve conditions in her country and then tells the individual experiences of the three American soldiers. Part Two is the women’s own struggle against the military, even to the extent of a lawsuit, to change government policy to open and official acknowledgement of their contributions and qualification for all combat positions. The Epilogue details the efforts of women in the last few years to take advantage of the policy change. There have been female Marine deployments in the same FET configuration in the Middle East and two women actually met all of the requirements to become Army Rangers, something never easily accomplished even by men. Author Eileen Rivers, besides being an Army veteran herself, is now a USA Today editor and has been reporting on veteran affairs for 15 years, so it is evident that she knows whereof she speaks. In spite of any previous official acknowledgement from our military, it is gratifying to know that things can change for the better and women are finally getting their due. As with all who serve, especially in combat, we hope that they receive all the honor and respect they deserve.